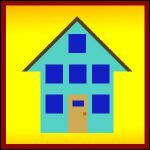 From Housing and FEMA information to updates from the Governor, this page is full information to help our citizens through the hurricane recovery process. 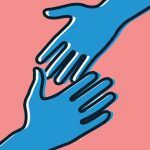 Please scroll down to view all resources. The Texas General Land Office is allocating $250 million for reconstruction, rehabilitation and new construction of affordable multifamily housing projects in the 48 Hurricane Harvey effected counties. If you are a property owner and your property was damaged by Hurricane Harvey or you are interested in learning more, please join us to discuss available funds through the GLO. Workshops will be held on July 12, 13, 16, and 18, 2018. Click here for workshop dates and complete details. The Texas Department of Insurance has extended the deadline for TWIA policyholders to request appraisal on their Harvey claim. 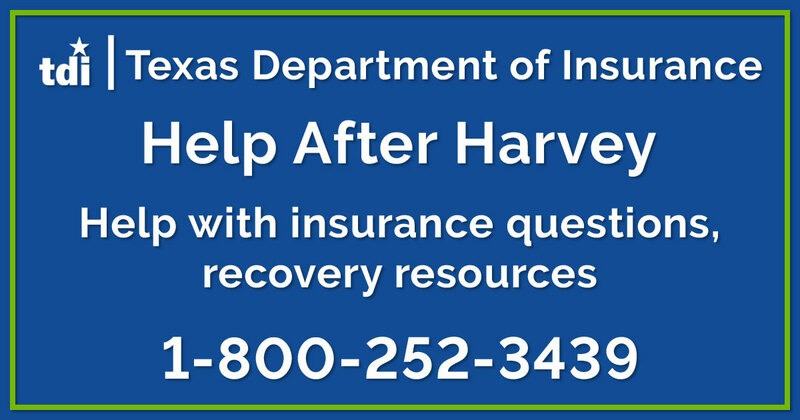 The Texas Department Of Insurance has a “Help After Harvey” webpage that includes information on their “Help Line” at 1-800-252-3439. Also, there is information on the mobile locations of their staff and insurers, links to resources, and answers to common questions. Click here to view the TDI pages. FEMA’s Texas Hurricane Harvey Recovery Guide has lots of useful information. Continued rental assistance, contact information for various agencies, and a disaster survivor’s checklist are just a few of the items you’ll find in this guide. Click here to view the guide. Long-Term Case Management Services are available to help residents recover and screen for other available services. Case management is available to all affected households. Hotel stays for Harvey Survivors have now been extended. The new checkout date is November 7th. 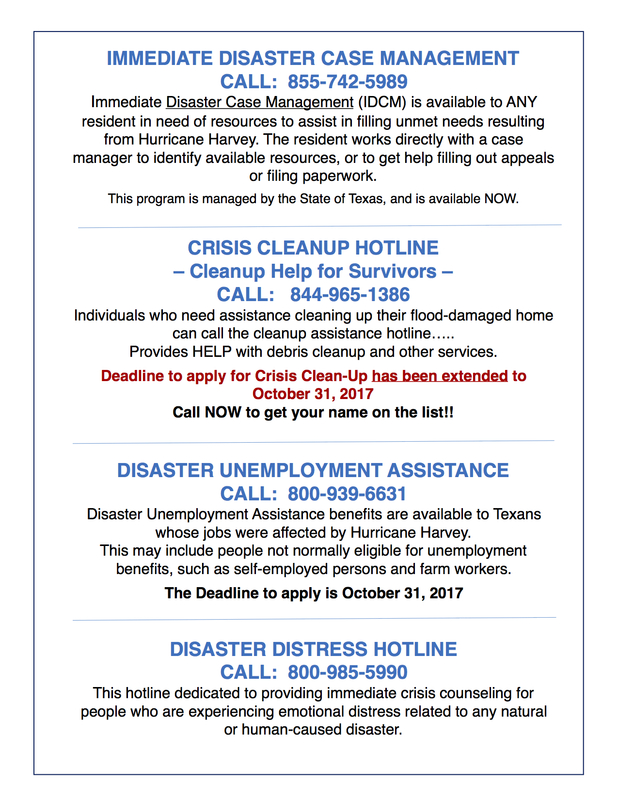 Texans in 41 designated counties, including San Patricio, who suffered damage and losses from Hurricane Harvey now have until Friday, Nov. 24, 2017, to register for disaster assistance. The Governor’s Commission to Rebuild Texas is a website filled with the latest official updates on the hurricane recovery process in Texas. It’s filled with news, advice on assistance, and locations of available resources. To visit the Rebuild Texas website, click here. It is very important that all citizens in the affected areas register with the Federal Emergency Management Agency, or FEMA. Even if you did not sustain any damage or losses, registering with FEMA helps bring valuable disaster assistance to our community. 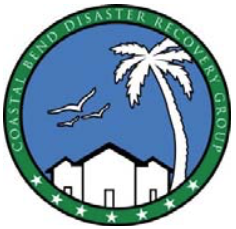 You can register online by clicking here to go to disasterassistance.gov. You can also register with FEMA in person by visiting the white tent in the Bay Vista Center on Highway 361 here in Ingleside. 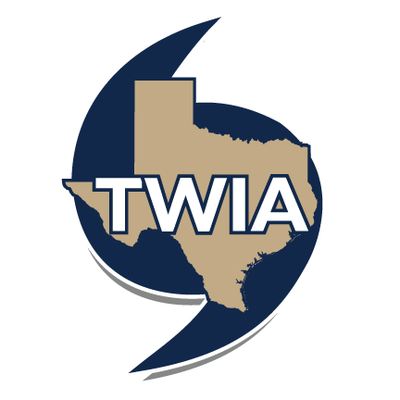 The Texas Department of Insurance, or TDI, can help you answer your insurance questions and concerns. Click here to get started. You can also call the TDI at 1-800-252-3439. The Small Business Administration, or SBA, has Disaster Loan Assistance for both businesses and homeowners. To see if you qualify for a low interest loan, you can click here to get started with the SBA. You can also register with the SBA in person by visiting the white tent in the Bay Vista Center on Highway 361 here in Ingleside. Many have been displaced due to the hurricane and are in need of housing. For available resources for housing, click here to get started.